Great schools of journalism and communication lead the way. That’s what Wallis Annenberg, President and CEO of the Annenberg Foundation, told the crowd of students, faculty, and media gathered for the unveiling of Wallis Annenberg Hall back in October 2014. 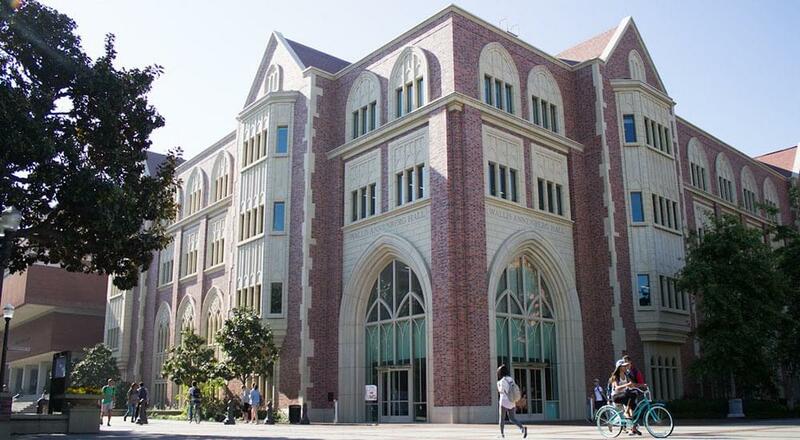 The hall is located at the heart of USC’s campus, and described by the Dean as a “pulsing, networked, fully collaborative space.” Indeed, with 23 classrooms, formal and informal meeting spaces, and a 20,000-square foot state-of-the-art Media Center, it undoubtedly is. Intended as a “laboratory for change,” the future-forward facility makes it possible for students to help define and shape the next era of journalism. Yet great leaps forward require a lot of legwork and, in the 11 years since Ray Barkley joined the Technical Services and Operations (TechOps) team at the USC Annenberg School for Communication and Journalism, the team has been busy introducing and maintaining the latest technologies and infrastructure to the classrooms, offices, and multimedia studios used by more than 3,400 faculty, staff, and students daily. Under the leadership of Associate Dean and CIO James Vasquez, the TechOps team of 27 staff members, plus student workers, has grown to support a range of services across a three-building environment, falling under five main categories: curricular support, administrative technology, facilities maintenance, multimedia production, and event services. For a long time, and prior to the grand opening of Wallis Annenberg Hall, the TechOps Department functioned much as it did when it was much smaller and the requests were simpler. Back then, the team used basic methods to track requests and it worked well enough—until the volume and variety of requests began to feel unmanageable. That realization led them to Zendesk Support, which the TechOps team found to be the best match for what they needed functionally, and easy for everyone to use—including the temporary student workers. They also appreciated the support they received from Zendesk’s own support advocates during their evaluation period, and since. The TechOps team found that Zendesk Support was easy to implement, train, and use. It was October 2015 when the team decided to go with a ticketing system, and it needed to be rolled out before the spring semester began on January 11, 2016. Even with an implementation timeframe that spanned only two months, Elena Mirzaians, Operations and Communication Coordinator, reported back that staff and student workers found the platform easy to learn after just a few training sessions, and they were able to quickly get up and running. Barkley and Mirzaians tried to minimize the impact for faculty, staff, and students submitting requests to the department. They continue to field requests through the channels their customers are used to—email, walk-ins, and the phone—but increasingly they direct people to their website.